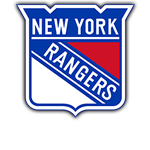 Portland, ME – April 9 – Maine Mariners announce today that they have entered into an affiliation agreement with the New York Rangers. The Rangers joined the NHL in 1926 as an “Original 6” franchise along with Boston, Chicago, Detroit, Montreal and Toronto. The 4-time Stanley Cup Champions play in the historic Madison Square Garden and have Hall Of Fame alumni such as Mark Messier, Rod Gilbert and Brian Leetch. The Mariners begin play this October in the Cross Insurance Arena in downtown Portland, Maine. Season tickets are currently on sale. Information can be found on the Mariners website MarinersOfMaine.com.